Wonder Woman will guard your car! This vinyl decal captures Diana Prince's full figure based on her New 52 look, with her laso and sword at the ready. 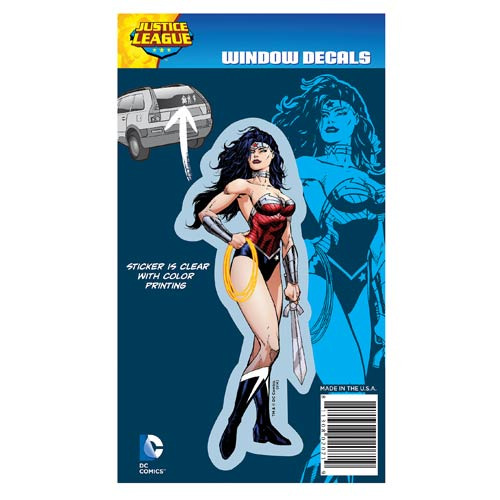 The Justice League New 52 Wonder Woman Full Color Decal measures approximately 5-inches by 2-inches. Ages 13 and up.